En Montevideo discutirán sobre los F.A.I. 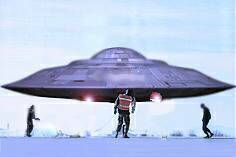 Argentinian growing interest in UFOs: why? Messrs. German Vazquez and Rafael Forli are two UAPSG members in Uruguay. They have had the initiative to develop a “Thematic Cafe”, opening a space for a dialogue with all the people interested in UFOs. The second of these meetings will take place on Wednesday, July 11 from 7PM to 8:30PM at the barbecue and pizza parlor “Decano” in Orinoco St. intersection with Michigan St. in the Malvin neighborhood of Montevideo. The consumption –at least a coffee—is a personal responsibility of the participants. This is a different experience in Montevideo city that joins those done in other countries. We encourage to attend the meeting to all those seriously interested in the UAP subject. Certainly there is a lot to be dealt with. This helps to get to know each other in a personal way, overcoming the contact through the Internet. We wish and foresee a good meeting!